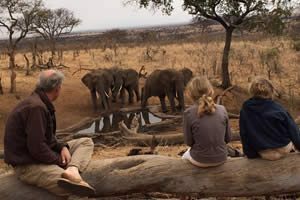 Visit the Tarangire National Park during a safari with Ajabu Adventures and discover the beautiful wild animals, who are present during all seasons in this unique park in Tanzania. 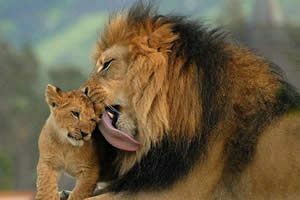 Tarangire National Park is located about 120 km southwest of Arusha, and is the fifth biggest national park of Tanzania. It is located between the Maasai area in the southeast and the Great Rift Valley in the northwest. The name of the park originates from Tarangire River, a sand river that runs through the narrow park, a source of water during dry seasons. Tarangire National Park features the largest concentrations of wildlife in Tanzania that remain in the park throughout the year, which makes a safari in the Tarangire National Park a great experience. The Tarangire National Park is known for its large herds of elephants near the river or digging into underground streams elsewhere in the park. 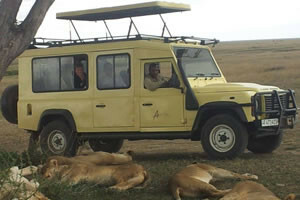 You can possibly also see herds of migratory animals such as wildebeest, zebra and buffalo. Tarangire National Park has a number of species that cannot be seen in the larger parks, such as the grant gazelle, giraffe gazelle, African elk and oryx. The landscape and vegetation of the park is incredibly diverse, the enormous baobabs and acacias in the hilly areas are interspersed with large swamps. These swamps have the largest selection of breeding birds anywhere in the world. Around the swamps you often can find the lion and leopard. Tarangire National Park counts more than 550 bird species, and is therefore a paradise for any birdwatcher. The swamp areas are the living area of the largest selection of breeding birds of the world. Another phenomenon in the park is the Kori Busterd (ardeotis kori), this animal stays in the dryer areas of the park. There are several activities available in the park: game drives, birding, night game drives, walking safaris and balloon safaris.